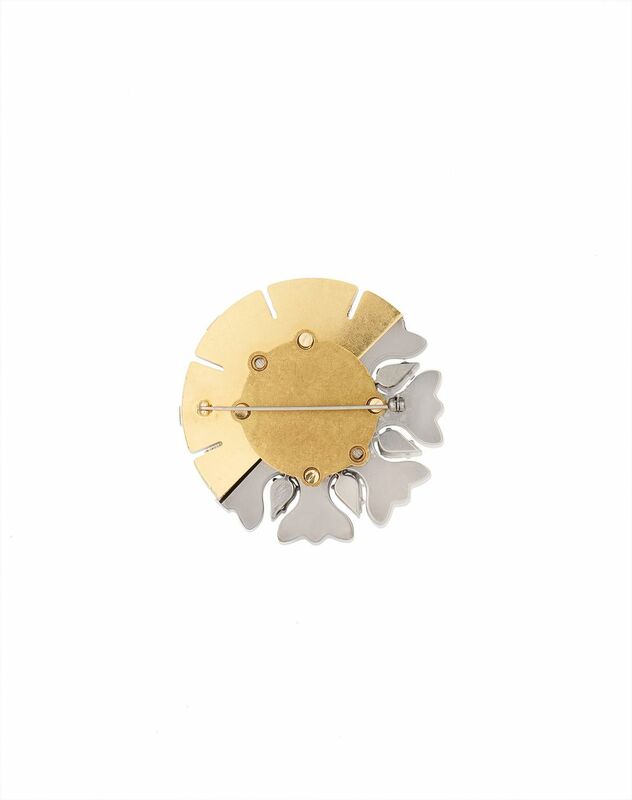 "Cosmic" brooch in gold- and ruthenium-colored brass, Swarovski crystal and bead detail, and detachable leather strap to make the piece both a necklace or a brooch. Inspired by embroideries from the Jeanne Lanvin archives, the Cosmic line from Lanvin reflects the fusion of the sun and moon. 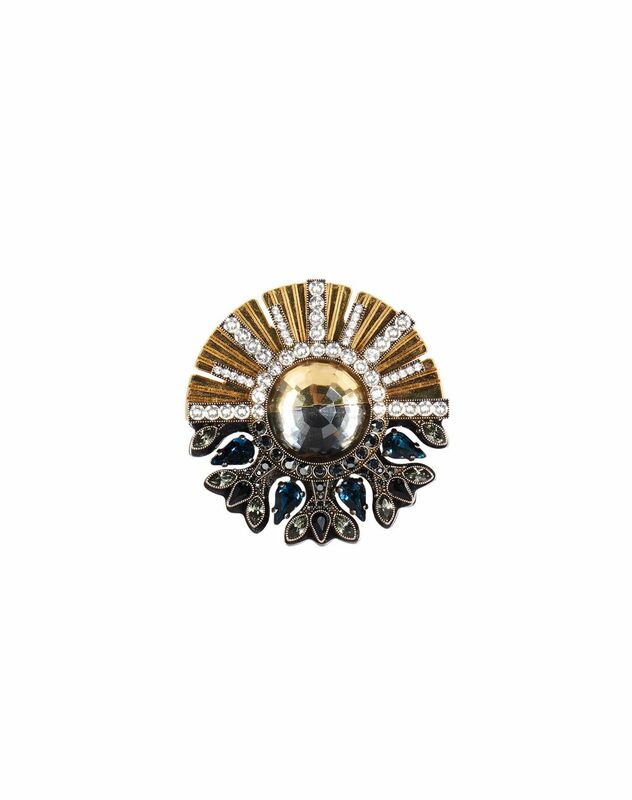 With a graphic style inspired by the night sky, this brooch combines colors and materials for an elegant, sophisticated look. Main material: 100% brass. Secondary material: 100% pewter. Additional materials: 100% resin, 100% glass. Made in Italy.